Celebration of the past, progress and modernization in THE Region of Central Slovenia. In the idyllic environment of a former Carthusian monastery, with a scenic garden, a fish pond and a forest nature trail, only twenty kilometres from Ljubljana in the seaward direction, you will absolutely be captivated by Tito’s automobiles, an extensive collection of bicycles, printing and sewing machines, a veneer sawmill, a traction engine, a blacksmith’s workshop, a bear that became the world champion in 1973, an exhibition on more than hundred years of motoring in the territory of Slovenia – and a great deal more worth visiting and exploring. Since Bistra Castle is located near Ljubljana, we would recommend you to stay at Union Hotels, where their amazing staff will take care of even the most demanding guests. Union Hotels group comprises of four hotels – the Grand Hotel Union, the Grand Hotel Union Business, the Hotel Lev and the Central Hotel, all of them are located in the very centre of Ljubljana. Altogether, they offer 30 conference halls and meeting rooms with modern technical equipment. Union Hotels are the perfect choice since their facilities cater for even the most discerning business guests. Bistra Castle is an amazing venue, located in the idyllic environment near Ljubljana. They host many kinds of different events, including conferences, business meetings, teambuilding and on Saturdays they normally host weddings. This year the museum even serves as one of the locations for filming TV series. For any kind of event, two halls and museum’s outdoor areas, including the idyllic park, are on disposal. The maximum capacity for a congress is approximately more than 1,000 people, depending on the venue set-up. For seating-only event, the indoor hall can accommodate up to 80 attendees. Just a footstep away from the Technical Museum of Slovenia one would find Bistra Inn. A perfect reflection of tradition and modernity goes along with their perfectly prepared local dishes. They offer traditional Slovenian dishes, among which we would highly recommend to try their “šara” (vegetable stew), “Barjanska juha” (Ljubljana Marsh beef and vegetable soup), “zaroštan krompir” (seasoned potatoes) and “štruklji s suhimi slivami” (rolled prune dumplings). Their house speciality is named “prešca” (All Saint’s bread) – tasty buns from different types of flour with a variety of fillings. RIDE IN A 30’s BENZ: Take a ride in a 30’s Benz in the museum park. BREAD BAKING IN A TRADITIONAL EARTHEN OVEN WITH BREAD TASTING: The mentor teaches the participants the whole procedure of bread baking, the traditional way, from dough kneading to baking bread in a special bread oven. Participants can try their own bread at the end of their visit. Tito’s Cars collection brings together fifteen cars, used by the former Yugoslav president Tito. The collection includes, among others, a 1939 Mercedes-Benz presented to President Tito by the Croatian Ministry of Internal Affairs, a 1937 Packard, which President Tito received as a gift from the Soviet president Joseph Vissarionovich Stalin in 1945, two 1954 ZISs presented to Tito by Stalin’s successor, Nikita Sergeyevich Khrushchev, a Horch 951A presented as a gift from the Russian Third Army, and a 1952 Rolls Royce, a gift to the president from the Republic of Slovenia. Most of the exhibited cars are rare and prestigious limousines of great historical and technical value. 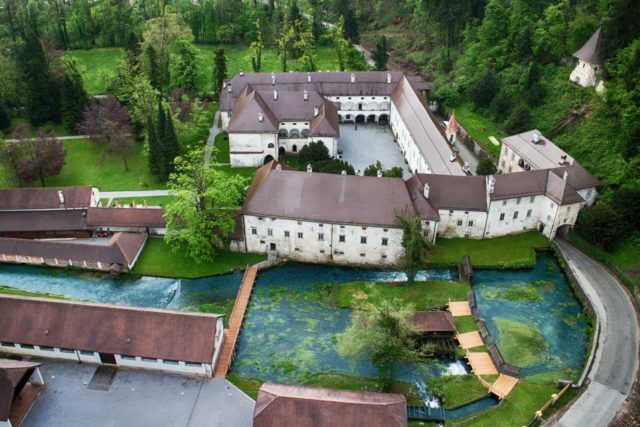 The Technical Museum of Slovenia is located at Bistra near Vrhnika, on the southwestern margins of the broad and flat Ljubljana Basin, some 22 km from the nation’s capital. The easiest way to reach the museum is by car, taxi or organised bus transportation for larger groups.